Corralejo Family Holidays Low Deposit Corralejo Free Child Places @Web2travelDeals. 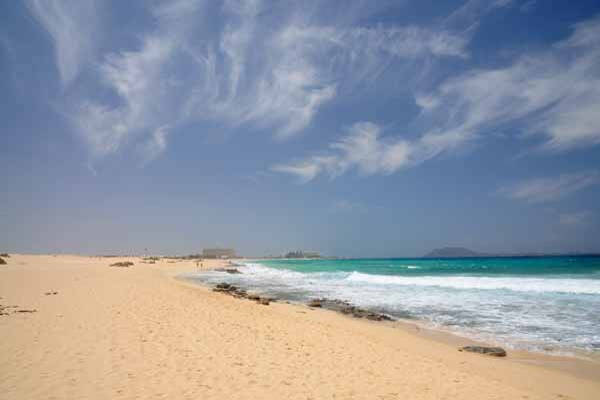 Best Value Hand-Picked Holidays to Corralejo, Fuerteventura from UK airports Since 2000. Corralejo Holidays Free Child Places with Low Deposit. Corralejo Family Holidays have now become more popular as Top Tour Operators such as Tui, First Choice and Jet2holidays are now offering more Package Holidays to Corralejo. Corralejo Package Holiday Deals are available from Top Tour Operators including Tui, First Choice, Thomas Cook, Airtours and Jet2holidays. In Corralejo there are a wide choice of bars and discos, seafood restaurants, Baku Waterpark and a local market. Located beside the 7km long sand dunes, Grandes Playas de Corralejo, which is now a protected nature reserve. 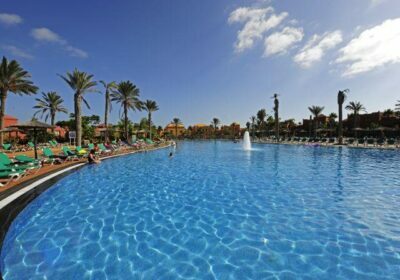 Corralejo holidays is a perfect choice for families and couples looking somewhere lively. Airport transfer takes about 40 minutes by bus. 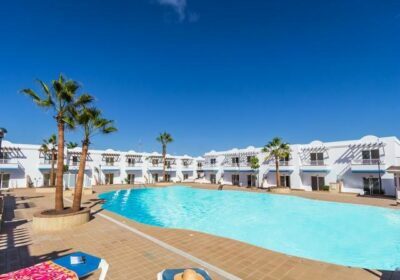 The Las Marismas Aparthotel is a friendly and affordable complex next to the Acua Water Park in Corralejo with a great pool area and plenty of on-site leisure facilities too…. 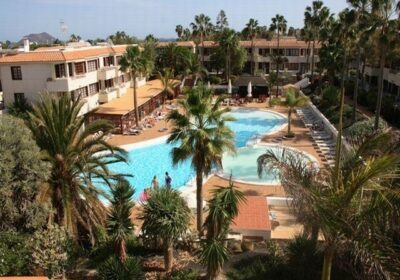 The Bahia De Lobos is a family friendly complex with a large outdoor pool complex; 4 minutes walk from the Acua Water Park and just around the corner from the shopping centre…. 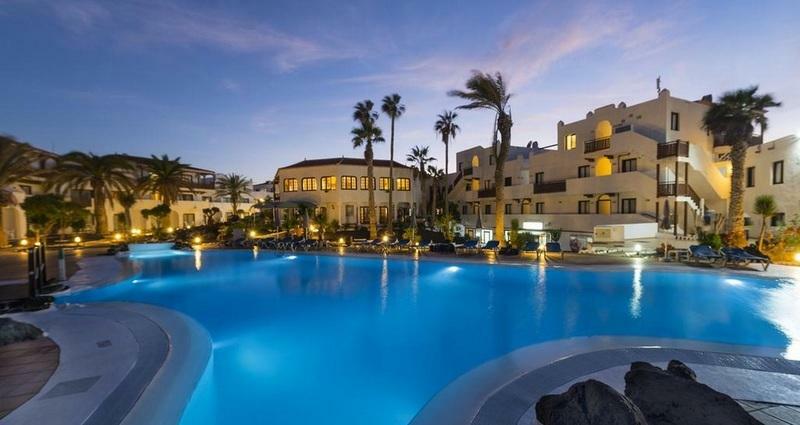 The Barcelo Corralejo Bay Hotel is a luxurios adult only hotel with relaxing outdoor spaces, a U-Spa, light airy accommodation and a central location just 2 minutes walk from the beach…. Maxorata Beach Apartments offers guests a warm welcome and budget friendly self-catering accommodation for couples and families. A central location for shops, eateries, the beaches and entertainments…. 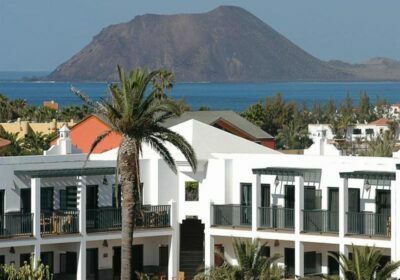 The Dunas Club Apartments occupy a prime seafront location next to Corralejo harbour. 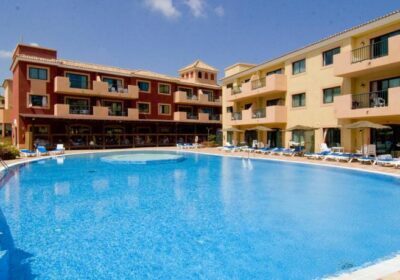 The complex offers a quiet environment and well equipped studios and apartments sleeping 2 to 5 guests…. La Concha Bungalow Complex is small, quirky and friendly. It is conveniently located for the beach and the centre of town to enable guests to make the most of the local amenities…. The Oasis Dunas Aparthotel is a modern low rise complex set in tropical gardens and offers guests a relaxed and informal atmosphere that will appeal to couples and families with children…. Playa Park Club Aparthotel is a modern complex with an attractive landscaped pool area. The studios and apartments suit families and couples and it is just 3 minutes walk to shops and restaurants…. Galera Beach Apartments enjoy a privileged spot on the sandy beach, just a short walk in any direction to a choice of shops, bars and places to eat…. The Aloe Club Resort is a bright and welcoming complex offering all inclusive holidays, peacefully located opposite the sand dunes and suited to families…. Labranda Alisios Playa Apartments are well located and suitable for families and couples – offering simply furnished accommodation close to the resort’s attractions…. The Atlantis Duna Park Hotel is just moments from the beach, shops and entertainments. On-site, you have a relaxing palm-planted sun terrace, sports and relaxation facilities and tasteful accommodation…. Suite Hotel Atlantis Fuerteventura Resort offers stylish and spacious accommodation, an all-inclusive option, 7 swimming pools and activities for all ages. Suits families and couples….